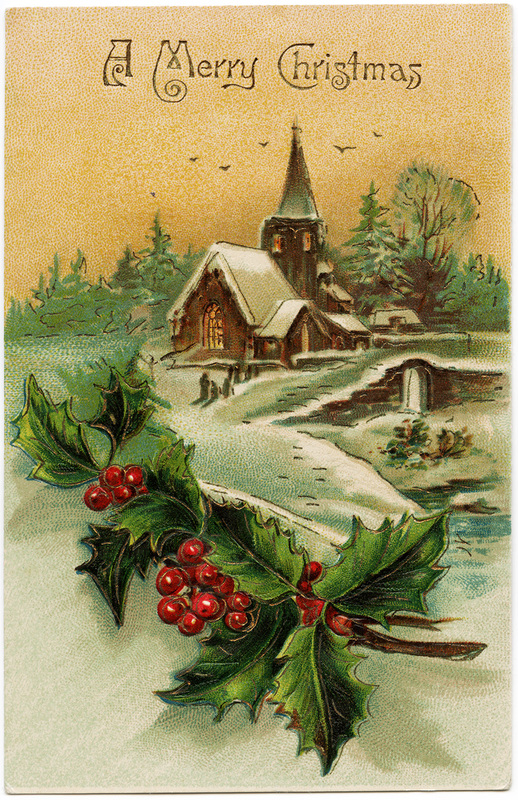 This beautiful vintage postcard features a snow-covered country church scene with a sprig of holly and berries in the foreground. 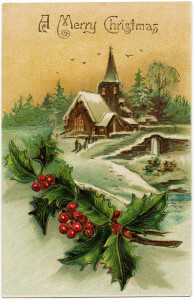 The greeting on the top of the postcard is: A Merry Christmas. Click on image to enlarge. You’re welcome Angela. Glad you like it! Thank you for all the wonderful posts, I save a lot of them!!! Just wanted to wish You a very Merrrrry Christmas!!! Hope your new year is wonderful. Judy Stone Congress AZ.